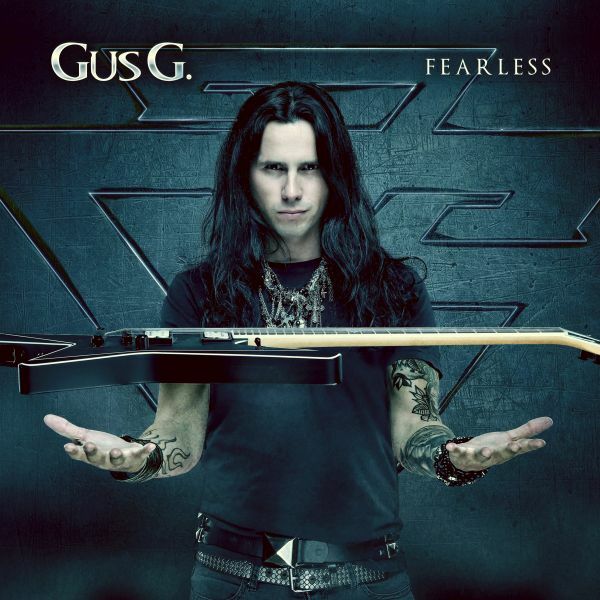 GUS G. - FEARLESS | Releases | Wizard LTD. In a world where only the best come out on top, Gus G. is one of the most respected and renowned rock metal guitarists of our time. He played the biggest stages worldwide between 2009 and 2017 as a member of superstar Ozzy Osbourne’s band and enhanced Ozzy’s album Scream (2010) with his amazing dexterity. In addition, Gus has been a known quantity on the melodic power metal scene as the founder and figurehead of his own group Firewind for some twenty years and can look back on eight studio albums and numerous tours so far. The third pillar of his exceptionally fruitful career is his work as a solo artist, having released his two much acclaimed albums I Am The Fire (2014) and Brand New Revolution (2015). Gus is now set to continue this successful series with Fearless. At the same time, Fearless also marks the beginning of another chapter: his new band is a power trio featuring vocalist/bassist Dennis Ward (Pink Cream 69/Unisonic) and drummer Will Hunt (Evanescence, Black Label Society). The exceptional Greek-born guitarist has recorded twelve new songs with this line-up: nine vocal numbers and three instrumentals. Which applies not only to Hunt and Ward, but of course also to Gus G. himself, who once again proves to be a phenomenal guitarist on Fearless, presenting technical skills which exclude all possibility of doubt and a compositional talent that allows his fellow musicians to shine. Hard-as-nails metal tracks such as the opener ‘Letting Go’, ‘Mr Manson’, which is driven by a dark bass/guitar riff, and the subsequent melodic ‘Don´t Tread On Me’ immediately propel the new album into the desired direction. At the same time, the three instrumental songs give listeners an idea of the outstanding talent of the 37-year-old who is easily on a par with George Lynch (‘Mr. Scary’) and Michael Schenker (‘Into The Arena’). “A lot of fans have asked me to record more instrumental tracks. Voilà, here they are,” grins Gus. Last but not least, the successful cover versions of the Dire Straits classic ‘Money For Nothing’, which surprises with an unusual change of key after the noteworthy intro, deserves a mention. But it’s certainly not the only surprise that this amazing album holds in store!